Harrogate portrait photography is not just about taking family portraits in your home or indeed my studio in York above Dannie Lea Hair and Beauty. Most of my family portraits are taken out on location. Creating relaxed, informal portraits either in your own homes and gardens or out and about in one of Yorkshires many beautiful locations. Travel within a 30 mile radius of Harrogate and York is included but I do travel all over the country and abroad with my work so please get in touch to discuss further travel options. To find out more about packages, prices and special offers for Harrogate portrait photography please click here. We are so lucky to live in such a beautiful part of the world. Yorkshire itself has many beautiful cities, towns and country locations in places like Harrogate, York, Leeds, Knaresborough, Thirsk, otley etc. 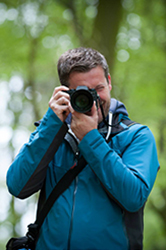 Make the most of where we live and enjoy a day out capturing you and your family in all of Yorkshires splendour. Here is a list of beautiful and popular places I do a lot of my Harrogate portrait photography sessions in and around Harrogate to give you some inspiration. Valley Gardens – what can I say about this beautiful park. Valley gardens is a truly stunning setting for Harrogate portrait photography. With trickling streams, winding paths through the extensive pinewoods and of course the pavilions there is something for everyone at anytime of year. Family portrait photography, couples photography, pre wedding, post wedding it does not matter. This green jewel in Harrogate crown is a portrait photography dream! Harlow Carr – One of the four official RHS gardens in the country I have had some wonderful shoots here. A stunning Harrogate portrait location it is beautiful at any time of the year. Why not have world class Profesional gardners shape the stunning back drop for your family portrait photography. Great for any time of year as the gardens are constantly changing and being planted to show the most beautiful planting for any season! Lovely secluded pagodas, bridges and grassy areas. 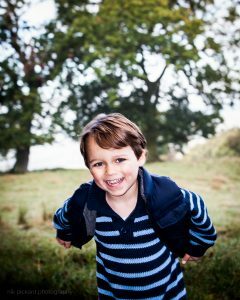 Harlow Carr has a magical quality that brings a special feel to your family portraits. The Stray – Another famous place for Harrogate portrait photography the stray is a constant in Harrogate life. Lovely open spaces for family portrait photography in Harrogate. Bring a kite, football or bat and ball for some fun family photography. Also a great spot for couples, either pre wedding or post wedding. I have photographed here all times of year. This location is especially stunning in spring when the rows of cherry blossom trees are in bloom! Plumpton Rocks – A lovely location portrait photography spot. Just outside of Harrogate, Plumpton rocks feels like your in the wilds of the Yorkshire dales. A great place for family portrait photography at any time of the year. Brimham Rocks – like Plumpton rocks, Brimham rocks really shows the wilds of the Yorkshire dales at its majestic best and is a great day out for your family portrait photography shoot. Lots of fun relaxed family portrait photography opportunities present themselves at this stunning photography location.